May Lawyers and Accountants “Team Up” to Handle BP Claims? 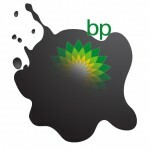 Many lawyers and accountants have “teamed up” to work jointly to assist claimants with submitting claims against British Petroleum (“BP”) arising out of the April 2010 oil spill caused by the Deepwater Horizon blowout. A 2013 Alabama State Bar Association opinion addressed the ethical propriety of forming such teams. See Alabama State Bar Assoc. Op. 2013-01. Do the Louisiana Rules of Professional Conduct permit lawyers and accountants to work together on such claims? The short answer is “yes,” but be careful. Under Louisiana Rule of Professional Conduct 5.4, “[a] lawyer or law firm shall not share fees with a nonlawyer” unless special circumstances exist. See La. Rules of Professional Conduct Rule 5.4(a). Furthermore, a lawyer “shall not form a partnership with a nonlawyer if any of the activities of the partnership consist of the practice of law,” id. Rule 5.4(b), and shall not practice with firm if “a nonlawyer owns any interest” or is a manager of the firm, id. Rule 5.4(d). This rule exists to ensure that the independent judgment a lawyer exercises as a loyal professional is not affected by relationships with nonlawyers. See, e.g., ABA Comm. on Ethics and Professional Responsibility, Formal Op. 87-355 (1987). Clarify the nature of the lawyer’s relationship and the claimant’s relationship with any accountant. Make clear that the lawyer is not engaging the accountant but that the claimant is engaging the accountant. Assure that the lawyer’s contract is separate and distinct from the claimant’s contract with any accountant. Assure that the claimant understands that the terms of the lawyer’s engagement agreement will not change if the claimant retains an accountant. That is, make sure that the claimant understands it can hire the lawyer at the same rate without hiring an accountant. The lawyer should give the claimant candid advice regarding whether an accountant should be retained. Assure that the claimant understands that the claimant can engage any accountant of the claimant’s choice, and that the BP claims facility allows claims to be submitted without an analysis by a third-party accountant. The lawyer should be willing to perform work for the claimant on an hourly basis. The lawyer should be willing to work with an accountant engaged by the claimant on a flat-fee basis, an hourly basis or on a contingent-fee basis. (d) certifying or giving opinions as to title to immovable property or any interest therein or as to the rank or priority or validity of a lien, privilege or mortgage as well as the preparation of acts of sale, mortgages, credit sales or any acts or other documents passing titles to or encumbering immovable property. La. Rev. Stat. § 37:212. No person, other than a duly licensed lawyer, may engage in the “practice of law” as so defined. See La. Rev. Stat. § 37:213(A)(1). La. Rules of Professional Conduct Rule 5.5(e). The ABA has opined that the “practice of law” includes “the application of legal principles and judgment to the circumstances or objectives of another person or entity.” See ABA Task Force on the Model Definition for the Practice of Law, Report Adopted by House of Delegates (Aug. 11, 2003). Assure that the lawyer–not an intermediary accountant–always maintains direct contact with the claimant. Assure that any accountant working on a BP matter provides only accounting-related services and does not give legal advice and does not negotiate on behalf of the claimant.